Aerienne M. Reibert, 94, formerly of Streator, passed away Tuesday Nov. 13, 2018 at Rosewood Care Center in East Peoria. Funeral services for Aerienne Reibert will be at 11 a.m. Monday at St. Paul’s Lutheran Church. Pastor William Callister will officiate. Burial will follow in Riverview Cemetery. Serving as pallbearers will be John Reibert, Matt Reibert, Stuart Sheldon, Michael Anderson, Brian Bliss and Bradley Bliss. A visitation will be from 10-11 a.m. at the church. The Elias Funeral Home is assisting the family with the arrangements. Born May 5, 1924 in Streator, she was the daughter of Karl and Kathryn (Wenninger) Kreier. She married Delbert M. Reibert on January 29, 1948. He passed away December 13, 1972. She is survived by her daughter Linda (Ken) Sheldon of Groveland, IL, sons Martin (Kelly) Reibert of Inver Grove Heights, MN and Gary (Pamela) Reibert of Salinas, CA. She is also survived by her grandchildren Steven (Susan) Sheldon, Stuart (Christina) Sheldon, Kathryn (Tyler) Monroe, Emily Reibert, John Reibert, Ashleigh (Michael) Anderson, Matthew (Natalie) Reibert and 7 great-grandchildren. She was preceded in death by her husband, 3 sisters and 1 brother. 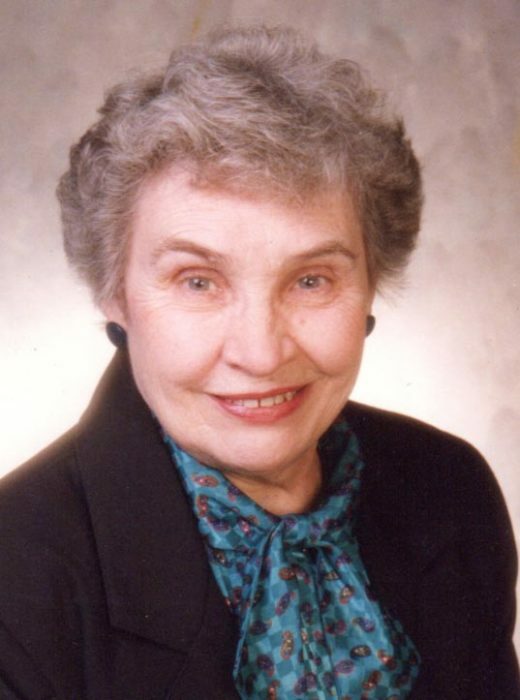 She attended Garfield Grade School and graduated from Streator Township High School in 1942. Aerienne worked at Streator National Bank for many years and was a member of St. Paul’s Lutheran Church. She volunteered at St. Mary’s Hospital and the Streator Canteen. Aerienne was a devoted mother and grandmother. Her life revolved around her family.